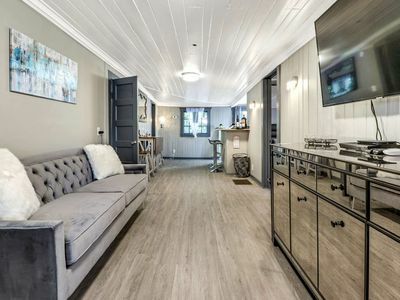 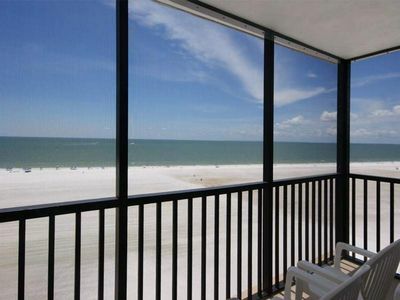 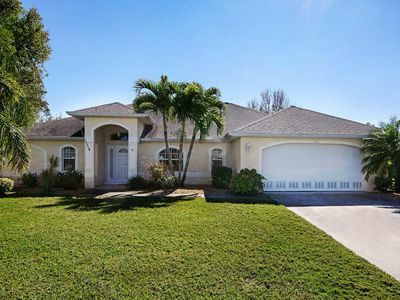 Villa Manatee - Look no further – you have found the sea-shore-cottage style vacation home who have been dreaming about right here! 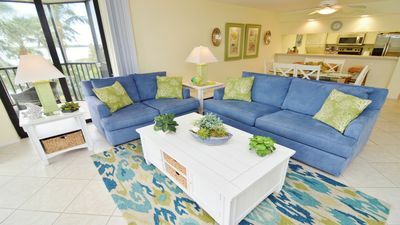 You will feel a hint of the Hampton’s as soon as you walk through the door and step into a maritime masterpiece of pristine calm and relaxation. 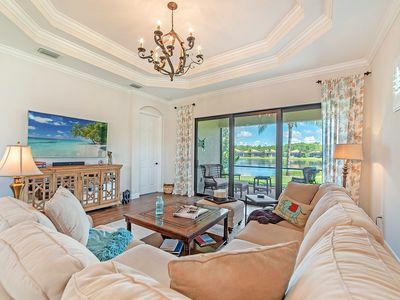 The home is very spacious; the open design and the bright colors will set all your senses on vacation mode. 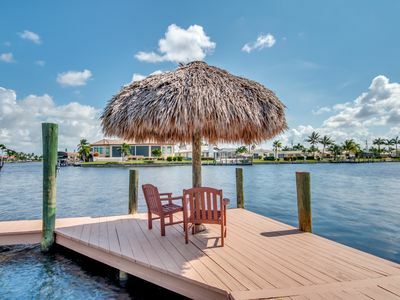 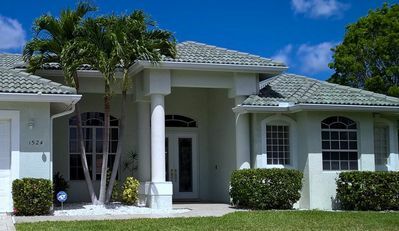 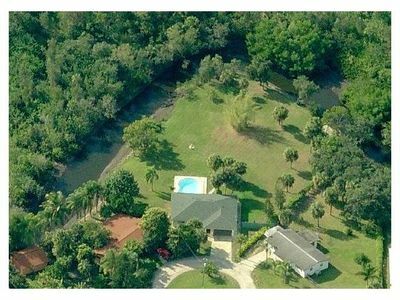 Villa Manatee is located in one of the most beautiful Cape Coral neighborhoods and close to the river; the house overlooks a wide canal full of water lilies and there is no better place to sit and enjoy nature than down there on the dock. 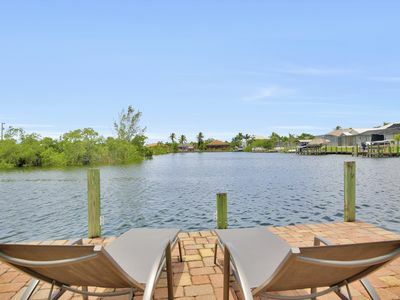 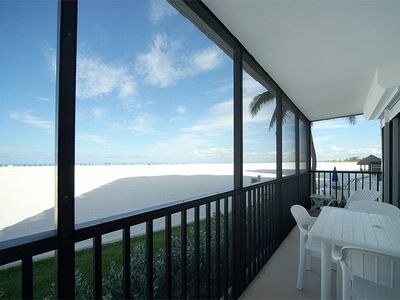 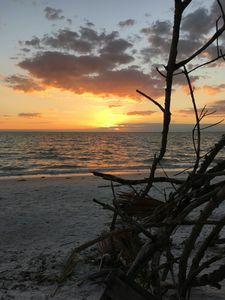 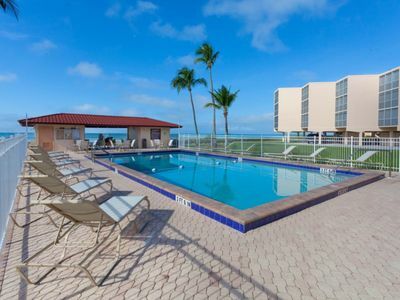 Even though this view makes you feel like you are far away from the city you are actually close to the bridges across the river to Ft. Myers and very close to shopping and dining. 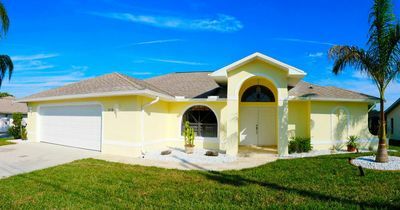 Villa Manatee’s maritime charm will take you captive right away and makes you fall in love with Cape Coral, the heart of the Waterfront-Wonderland; three bedrooms provide plenty of space for a party of six; the master bedroom features a king-size bed, the guest bedroom features a queen size bed, while the second guest room (we like to call it the pirate suite) has Twin beds and is ideal for kids or those young at heart. 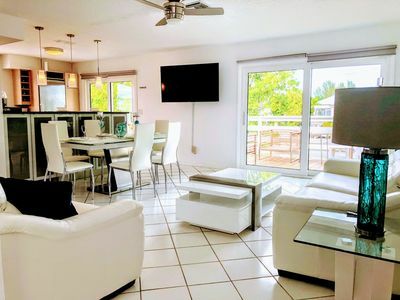 HD Cable Smart TV’s are provided in the living room, master bedroom, and the “pirate suite”. 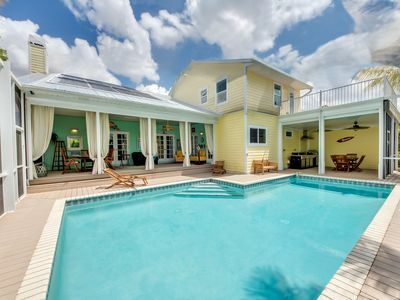 The lanai is huge, all pavers, the brand-new pool with an electrical heat pump allows swimming all year round; a BBQ-grill is waiting for your steaks and the mild breeze from the river will enchant you day after day and make this the best vacation ever. 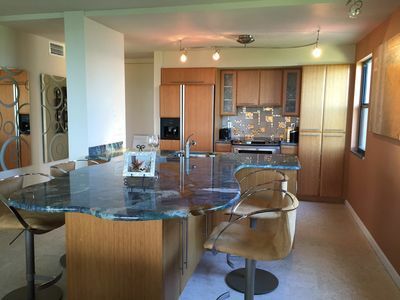 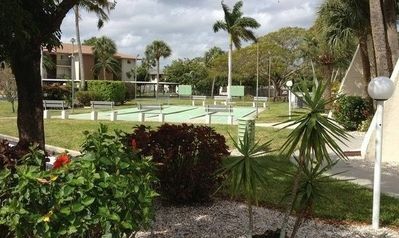 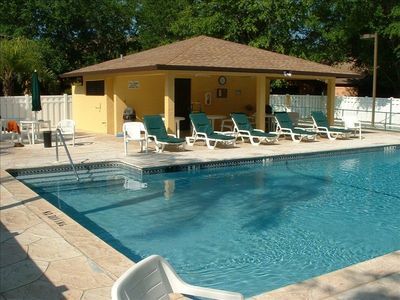 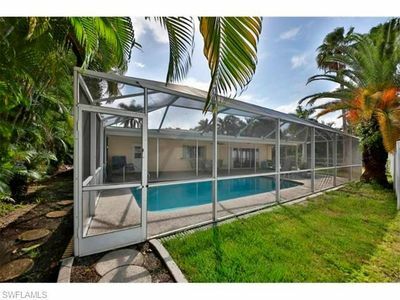 Newly Renovated,3 Bedroom/2 Bathroom Fort Myers Home - Twin Palms!